Fontina is a rich fruity cow's cheese from the Alps with a good length. Traditionally used in fondue or melting on risotto with truffle. It is also delicious on pizza or cheeseboards. Produced by a cooperative that collect fresh milk from micro stables in the Alps on the border with France and Italy. Delivered vacuum packed. Use within approximately 60 days. Made from cows milk. Those who are not familiar with mountaineering can use the comfortable, yet thrilling, cable car; catch it just a few miles from Courmayeur, one of the most important ski resorts in the world. In this setting of stately mountains and diverse valleys sits the oldest National Park, the Gran Paradiso, where it is still possible to see animals in their natural habitat — ibex, chamois, eagles and marmots live in vegetation that changes according to the surrounding environment. Historically, the Aosta Valley has been viewed as land of contact and conjuncture between Italy and France; such is also reflected in its official bilingualism and its special status as autonomous region. The great modern tunnels of Gran San Bernardo and, even more so, those under Mont Blanc — extraordinary engineering masterpieces that run to France — highlight even more clearly this aspect of intersection between Italy and the rest of Europe. 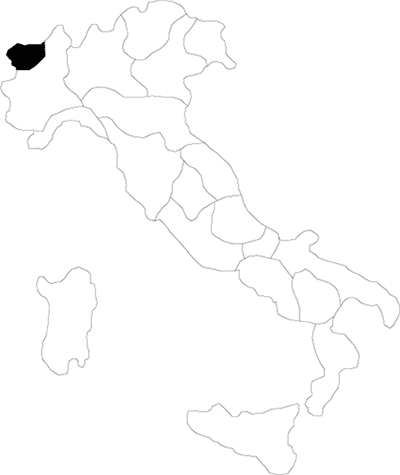 The only province of the region is Aosta (regional capital).